Every now and then I get a call from a client, a colleague or a prospective client about how to effectively communicate with the general public about a highly technical topic — nuclear power, price increases, advanced digital meters, strengthening the grid, and so on. 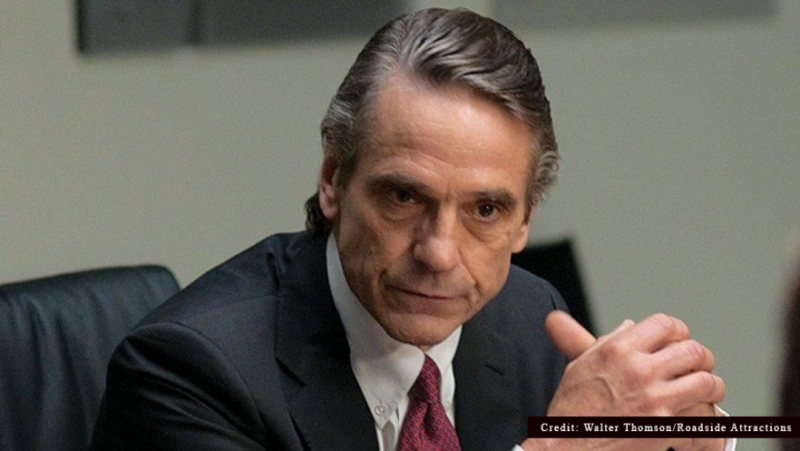 In the movie, Irons is the CEO of a Wall Street firm (think Lehman Brothers) that got vaporized in the financial collapse of 2008. In an emergency meeting, convened at dawn in the firm’s Board of Directors room, math Ph.D.’s and actual rocket scientists fill the room. Irons’ character demands to know how the firm could have gone from financially healthy to insolvent so quickly. You can see the assembled geniuses want to dive into the details: spreadsheets containing data on collateralized debt obligations, currency futures, swaps, toxic mortgages, excess leverage, capital requirements and the like. Irons’ words are wise counsel for communicators and marketers considering how (or whether) to communicate with their customers or members about their deployment of advanced metering infrastructure (AMI) or advanced digital two-way meters. I’ve blogged about how to communicate complex, technical information before. Like here. And here. And here. But in conversations with communicators and marketers at electric utilities and electric cooperatives, I learned many still struggle with effectively communicating on AMI or advanced digital meters. 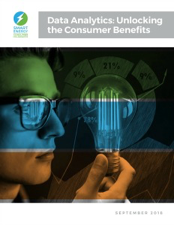 Advanced digital meters (AKA “smart meters” to many) are installed at over 60% of U.S. households, according to a late 2018 report from the Smart Energy Consumer Collaborative (SECC). SECC’s report, Data Analytics: Unlocking the Consumer Benefit, makes the point that “energy data is more widely available than ever before and is delivering benefits to consumers, including more accurate billing and more reliable forecasts and alerts.” While electricity companies are using this granular data to improve operations, the challenge for communicators and marketers comes down to this: how do we explain this to customers and members, the people who will be paying for this advanced technology? Four recommendations on improving customer engagement are included in the SECC report. If your company is a member of the SECC (over 100 utilities are), I recommend you obtain a copy of this September 2018 report and consider its recommendations. Since I’m not a member of SECC, I’ll have to fall back on tried and true marketing maxims: Emphasize consumer benefits, not technical features. Features typically are statements about “what’s in it.” Benefits, on the other hand, are “what’s in it for me?” It’s a simple but critical distinction. Think about most print or TV ads, or marketing collateral: Benefits are front and center: a more active life, greater attractiveness, enhanced flavor, a private vacation spot, more security about your retirement savings, flashier cars, a better-quality TV-viewing experience, etc. The consumer is buffeted by statements about how this or that good or service will make life better. Features, which are nowhere to be seen in most ads, are what enable those benefits. For Botox or plastic surgery ads, you don’t see a patient actually undergoing the procedures. Rather, you see “before” and “after” shots. Financial service companies don’t advertise what stocks, bonds or other financial instruments they hold. Food scientists are not featured in lab coats explaining what combination of chemicals and preservatives they use to make your taste buds tingle. Communications tip of the month: Large, complex issues like AMI and advanced digital meters can be explained simply if you heed this advice: Emphasize benefits, not features, and speak to your audience as if they were young children or Golden Retrievers. We don’t really need to know how cellular networks operate, do we? Nor do we need to know all about the magical properties of our new DVR. We just want to know our calls won’t get dropped or that we can watch any recorded program from any TV in the house. AMI and advanced digital meters offer a range of customer benefits, but it can be a struggle to clearly convey them to the general public. Our network of transmission and distribution wires that deliver electricity to your homes and businesses is going through some big changes. The old electric grid worked just fine in the 20th century when delivering electricity was akin to one-way streets in town like Lemon Street and Orchard Way. But the electric grid of tomorrow will be more like Interstate 5, an eight-lane freeway featuring vast, lively, two-way exchanges of electricity between buyers and sellers. Increasingly, rooftop solar allows customers to sell excess electricity back to us. Rather than being limited to delivering electricity over a one-way set of wires, we increasingly are buying it back from customers. Advanced digital technology is another important part of this transformation of our electric network from one-way Lemon Street to eight-lane Interstate 5. Matt Luders was throwing money down the toilet. Bob Starr was inadvertently sending water to the lake. Neither knew they had a problem until they were contacted by Sturgeon Bay Utilities. One tool that has helped me simplify my copy is the “Readability” function contained in Microsoft Word. When activated, this tool scans the copy and reports back on its readability, which is shaped by two things: average number of syllables in a word and average number of words in a paragraph. Under “When correcting spelling and grammar in Word,” make sure the “Check grammar with spelling” check box is selected. So remember, when communicating about AMI, advanced digital meters, price increases, infrastructure upgrades or anything else that is of a technical nature, remember Jeremy Irons’ advice: talk to them as if they were small children or Golden Retrievers.